Handheld photography is taken to the next level with this 7K photography and 3K video camera. When it comes to buying a handheld camera, there’s no shortage of devices on the market which promise to deliver quality photos and videos in HD resolution. When it comes to virtual reality devices, however, the market is a bit smaller – with consumers struggling to find a balance between affordability and functionality. VRDL360 is the world’s first 360-degree virtual reality camera that combines 7K photo, 3K video, live streaming, and instant sharing capabilities. Despite the robust functionality, the device is engineered to be smaller than the user’s smartphone. In order to capture immense amounts of detail, VRDL is equipped with dual 16mp CMOS Sony sensors with f/2.0 lenses which can capture 32mp photos. There’s also an ISO reach of 1600 for shooting in low light settings. Each of these lenses is built with non-sphere glass and are made of nine elements in eight groups to improve focusing while reducing optical distortion in active photography. Since these functionalities can be data intensive, this handheld camera comes with a built-in dedicated Wi-Fi network that allows users to directly control the camera using the companion app on the user’s smartphone. 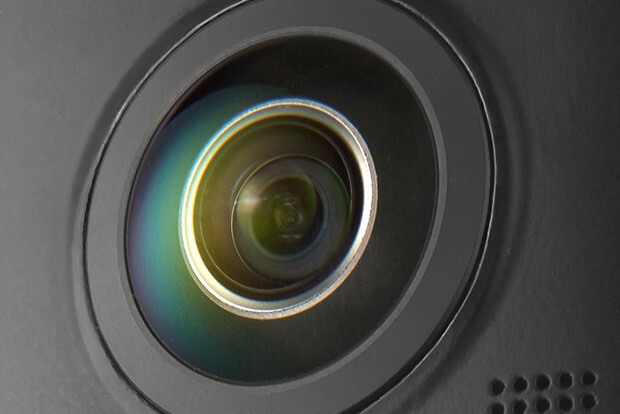 Unlike standard digital cameras which only enable content to be uploaded/shared after the fact, VRDL360 supports live streaming to platforms such as Facebook, Twitter, Instagram, WeChat, QQ, Qzone, and numerous other platforms. Using the companion mobile app users are able to customize their media on the fly and instantly share it with friends and family. 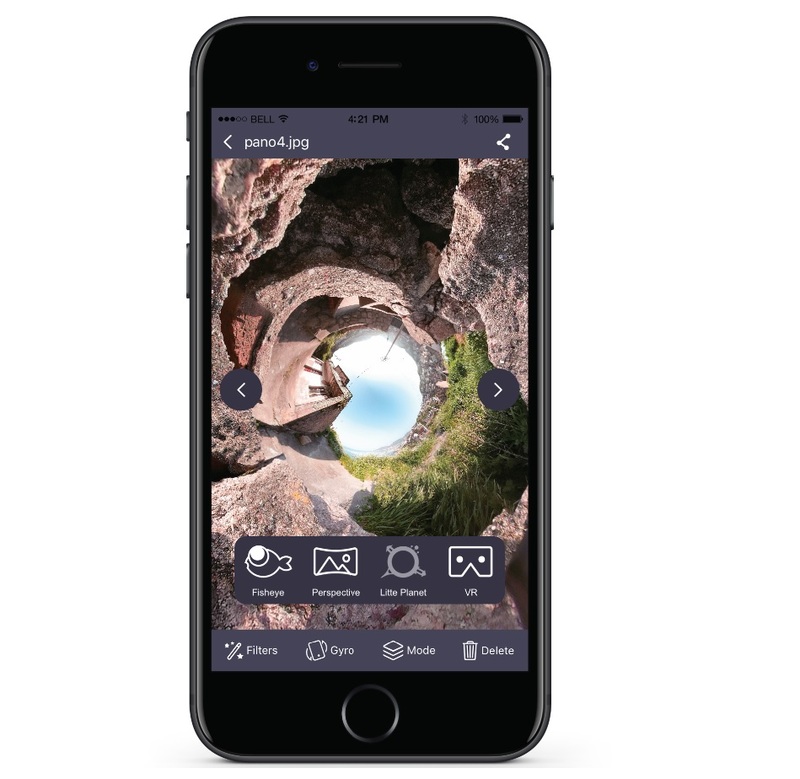 The app features four view modes including fisheye, perspective, little planet, and VR. There also are a variety of filters, similar to those offered on Facebook and Instagram. In addition to sharing content with friends and family via social media, VRDL360 also has a private user community. The network is powered by an algorithm that curates the content of users who opt-in by enabling the share functionality within the app. VRDL360 weighs approximately 0.23lbs and is powered by a 2,000 mAh battery which provides enough power for approximately 1,000 photos or 2 hours of video recording. The ISO sensitivity for still images, videos, and live streaming ranges from ISO 100 to 1600. To date, the makers of VRDL360 have raised over $43,100 via crowdfunding which met their original goal of $25,000. Early bird pricing for the device starts at $99 which is 55% off the retail price of $219. These purchases include the VRDL360 camera, lens cloth, USB cable, a soft case, and a one year warranty. The estimated shipping date is September 2017. Has anyone been able to find any reviews on YouTube? I am not sure if I am just being an idiot with the search bar or what, but I figured there would be at least 1. I have been trying to find YouTube videos showing this camera. Why is nobody uploading? I am not really understanding the camera resolution. Maybe I am just out of touch these days. Yeah, that is a little uncommon, but I am sure there is a reason for it. Seems like an easy enough camera to use and I think that will be the selling point in the beginning. I wonder if the software is easy to use, that would be the next thing. Just like with any other camera gear. If you want the features, you pay the price. When you see a company trying to make something more affordable by cutting back on the features, you cannot blame them, you can only blame the throw-away consumer culture we have today! Another VR camera. Even though this one seems to have some nice features, what is the deal with “3K?” I am not understanding that. Unless they wanted to keep the price down on a handheld version of a VR camera. The battery is too small as well, in my opinion.